At age 42, Meka Rembert is preparing for her final Olympic Trials and racing against her 16-year-old daughter. 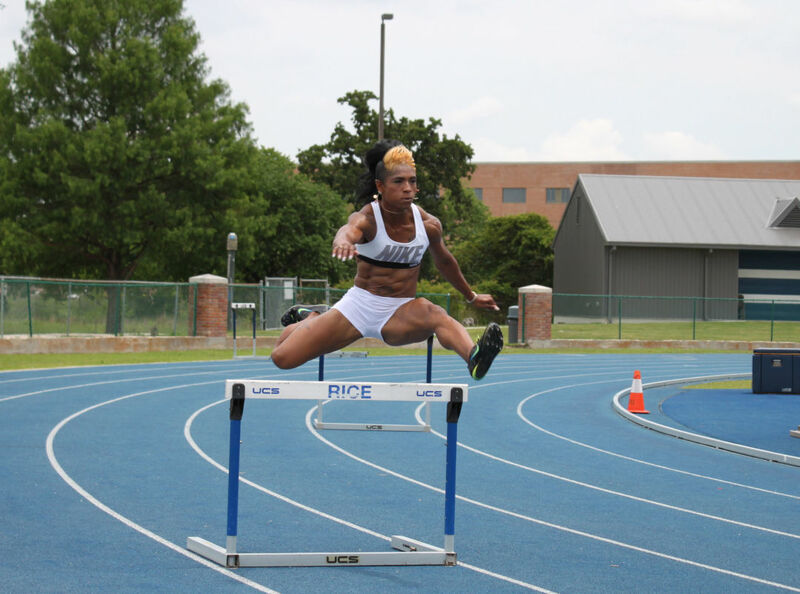 Meka Rembert trains on hurdles at Rice University. Meka Rembert's coach likes to say that she has the heart of a lion. Rembert is a world-class hurdler whose career has spanned over 20 years. 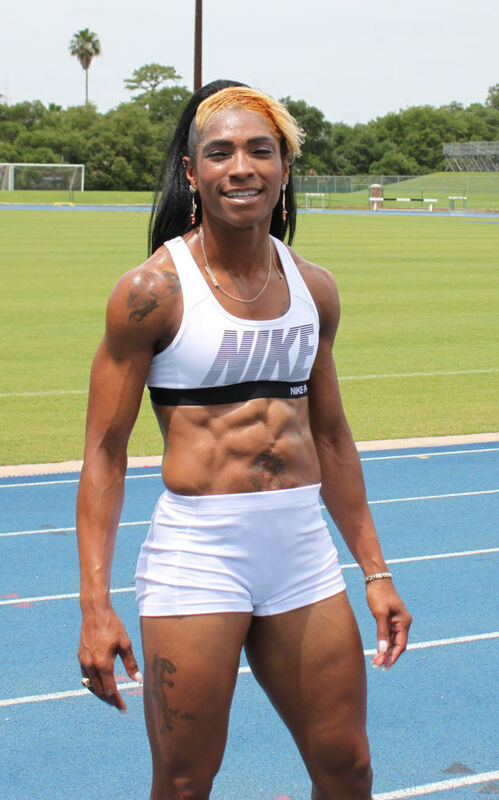 At age 42, she is currently in training for her final Olympic trials in pursuit of a place on the U.S. track and field team to compete in the 400-meter hurdles at the 2016 Olympics in Rio de Janeiro. If she qualifies, it will be the icing on the cake of a long and accomplished athletic career. On the day of the Olympic Trials, she says she'll be picturing her son to motivate her. Rembert is also a trainer at Orangetheory Fitness in Pearland and runs an Olympic Development Program to provide supplemental training to promising high school and college athletes. With the Olympic Trials taking place over the next 10 days, we asked Rembert to reflect on her long and storied personal and professional career as an elite track athlete and on her expectation that this summer’s Olympics will be her final competition. Houstonia: How did your running career begin? Meka Rembert: I began my running career at the age of 8 in Ohio. My uncle, Larry Brooks, is an accomplished athlete and recognized my talent. He would bet other parents that I could beat their kids in the 200 meter dash and coached me until I was 12. Starting at age 12, I joined a local running team called The Rebels. I continued into high school with the 400 meter dash being my main event. My high school won the state championship my junior year and I was the top senior, winning the 400 meter dash. I went to Barton Junior College for two years and then went to the University of Kentucky for one year. I wanted to go pro and was red-shirted for a year so that I could run unattached to the university. The summer of '96 I qualified for the Olympic trials. In 1998 I won the Arthur Ashe award, I was the Gatorade Athlete of the year, the Phillips 66 Big 12 Athlete of the Week and I won the Husker Invite Strength Award. How did you continue training after college and what have been some of your major achievements? As one of the top ten hurdlers in the world at the time, I moved to San Diego in 1998 to train at Chula Vista, an Olympic training center where athletes in a variety of sports are invited to train as long as they are in the top 10 of their sport/event in the U.S. I moved to Houston in 2000 to train with Kim Wrinkle a marathon runner who trained at the University of Houston and Rice. 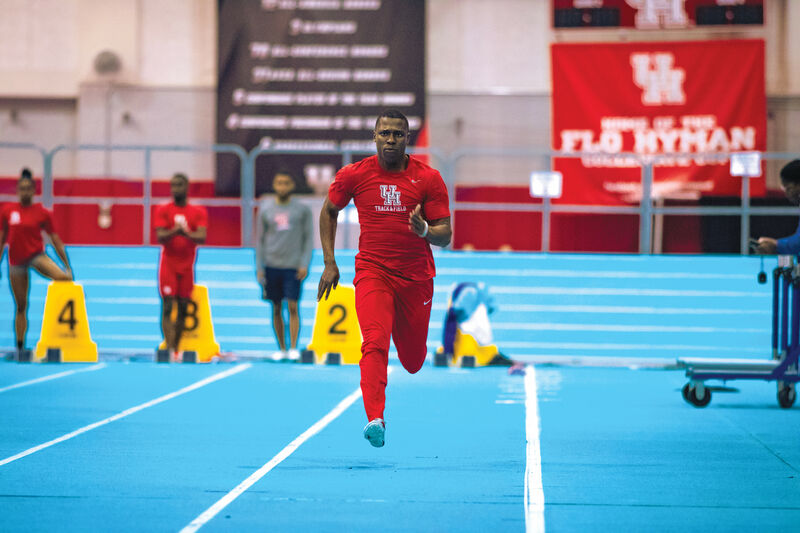 A lot of people don’t know that there are a lot of elite athletes from all over the world that come to Houston to train. I have competed in the Penn Relays, USA National Championships, I was a 1996 Olympic Trials Semifinalist in the 400m hurdles and a qualifier for the 2000 Olympic Trials and most recently, in February I competed in the Millrose Games in the 4x200 relay. You were very involved with the Star of Hope Mission in the past. Why did you decide to leave? Faith is very important to me and so is helping others, but it was time to start my own business and become a personal trainer. My business is Dioko Fitness Youth Sport and Performance. My children motivated me to start the student athlete track program due to the discovery that they had talent in the sport. How has your perspective changed over the course of your running career? What is your goal for this final race at the Olympic Trials? 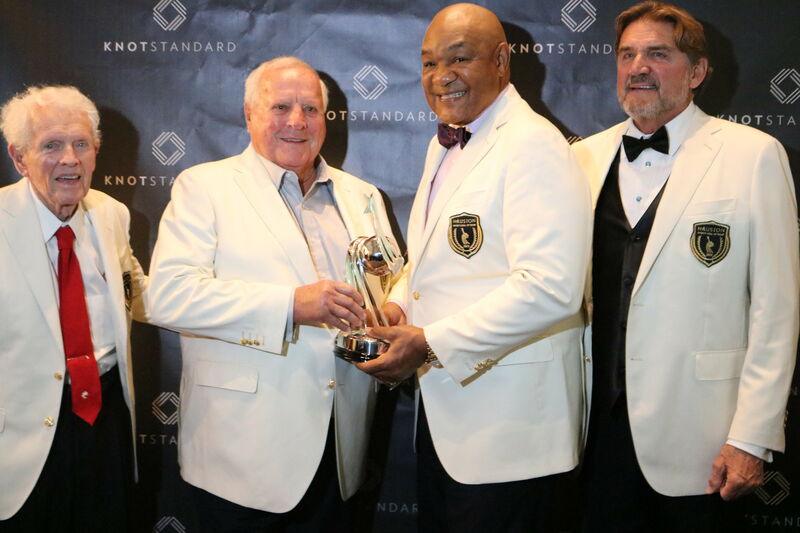 In the past, there was more pressure and stress to stay at the top, obtain endorsements and stay clean in the midst of athletes that were using performance-enhancing drugs. Now every second away from my kids has to be worth it. It is rewarding to be able to compete for personal reasons alone, without the pressure of a medal. I went through a personal crisis in 2014 and 2015 and that led me to realize that my love for competition and running would be a therapeutic way to help me through a difficult period. What would you tell other track athletes? It's 80 percent mental, and I’ve learned as an older athlete that it’s more important to train less and smarter. Nutrition is also extremely important to be successful and have effective workouts. 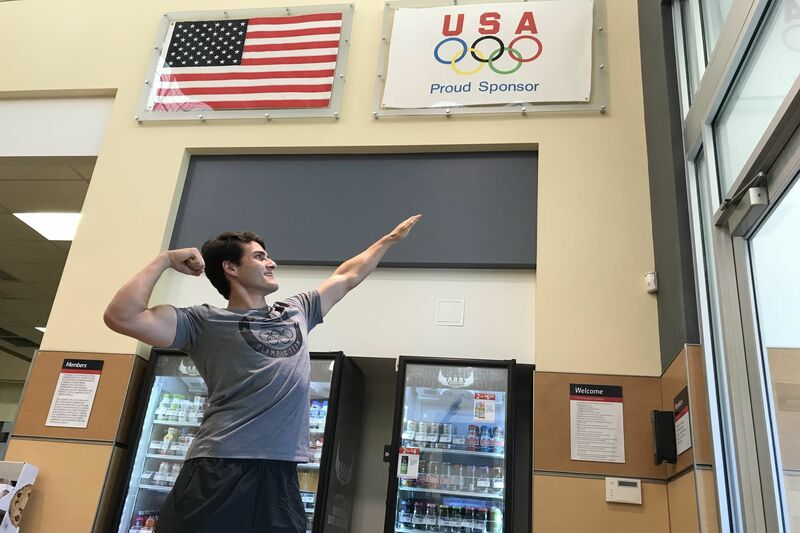 It is important to me to teach kids the mental and nutritional aspects to training because the physical is what they are already getting at school and through my Olympics developmental program. After the Olympics, will you do anything to continue your journey as an athlete? The day my 16-year-old beats me will be the day I retire. [Laughs.] I would like to compete in fitness modeling competitions. My work with the Star of Hope community and with student athletes. To be able to work with high school and college athletes and to see their confidence and mental aptitude as athletes grow has been the most rewarding part of my career. 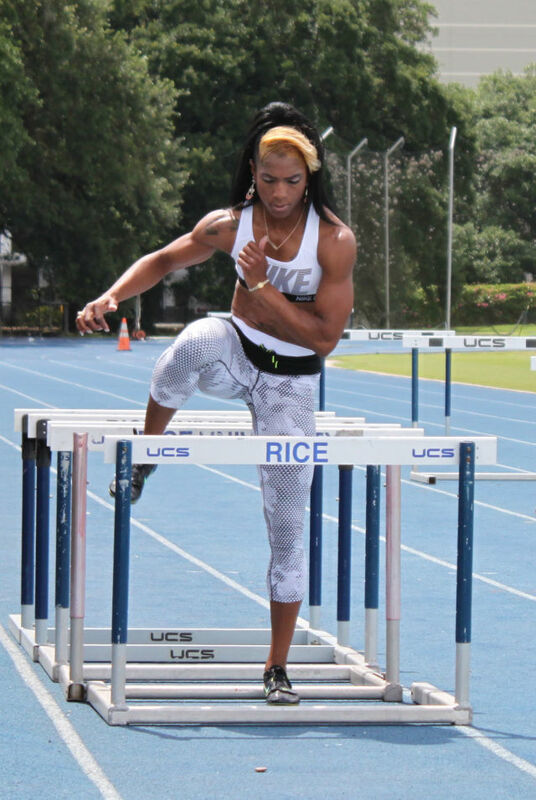 I have been working with Ariel Jones, a college athlete at UT-Austin who is an Olympic hopeful for the 400 meter hurdles as well. We may compete against each other at the Olympics. I told her that I know what her weaknesses are so she better watch out! Editor's note: Rembert’s answers have been edited for length and clarity.